Where To Do Business In 2017! Gathering information from the World Bank, Forbes, Telegraph and the World Economic Forum, we’ve shortlisted 5 countries you must pay attention to in 2017. Expert economists ranked these countries as the most “business friendly” so far, based on factors such as tax regulations, corruption levels, investor protection, infrastructure, property rights, entrepreneurial opportunities, credit, solvency and trade. 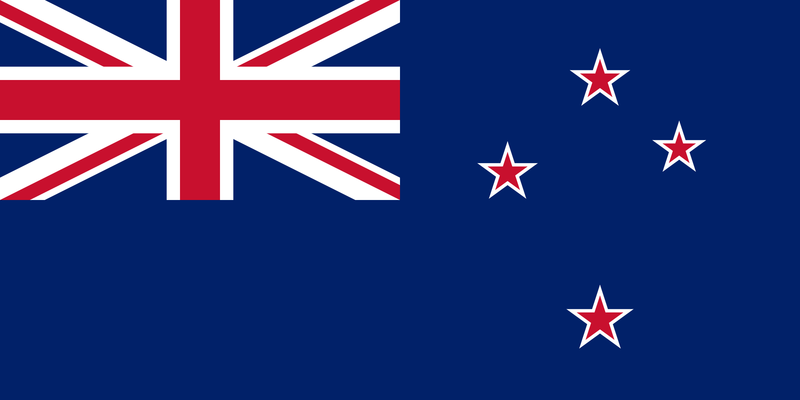 New Zealand has been chosen #1 by many economic entities due to its economic and political stability, lack of red tape, low corruption levels and close proximity to the Asian economies. According to the New Zealand Government, incorporating a business in NZ takes only a day and registering property takes no more than two. New Zealand ranked #1 for protecting minority investors in the World Bank’s “Ease of Doing Business” in and is acclaimed for having an investor-friendly tax system that values capital development, international investment and research. Low corruption levels and high transparency rates make Denmark a very attractive country to invest in. The World Bank considers Denmark one of the most business-friendly countries for its incredibly qualified work force, the ease to set up businesses and get work permits and it’s increased interest in clean technology. Denmark is also offers great access to the European market, a great environment to develop as people, top-notch infrastructure and low corporate taxes compared to other nations in Europe. 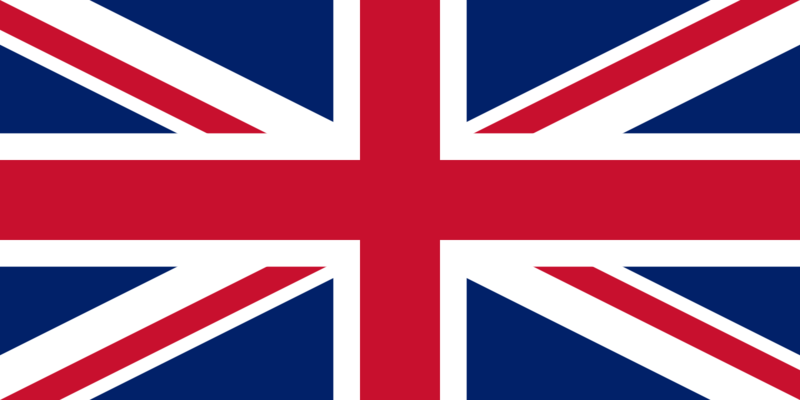 The United Kingdom is an incredible hub for investors from all over the world. With a fast growing GDP, the World Bank considers the UK #7 in the Ease of Doing Business. According to the report, the UK offers smooth service when dealing with construction permits, it offers great infrastructure for business, high protection to minority investors and a business-friendly tax system. Recently, through the “UK Trade & Investment” report, the UK Government committed to creating the most competitive tax regime in the G20. The UK also has a leading position when it comes to FDI and assisting new investors with market research, stakeholder management, industry alliances and building market share. Sweden is a great place to do business not only because it offers a great atmosphere to develop professionally and personally but also because it empowers entrepreneurs to innovate, research and develop. Sweden offers low corporate taxes (22% on net profits), great infrastructure for business, ease to register property and it ranks #15 globally for starting a business. Sweden is also the largest market in North Europe and, like Denmark; it is filled with a highly qualified workforce. Canada offers it all: place where true life-work balance is possible, great opportunities to start your own business, financial and political stability and friendly tax systems. The Organization for Economic Cooperation and Development ranked Canada’s workforces as the most highly educated amongst members of the OECD. And this, in turn, has attracted business from all over the world. Now Canada is working towards agreements that will give those who invest there, great access to both American and European markets. Offering steady growth and few obstacles for investment, Canada has become one of the friendliest countries when it comes to business. As we get closer to Christmas, I would love to highlight a company that has transformed the way we live the holidays and any special occasion for that matter. Making the world “a more caring place”, Hallmark has become a leader in both the greeting card and entertainment industries, sustaining its place in the market since the 1910s. Today this $3.7 billion business has reached more than 40,000 retail stores and audiences in over a 100 countries, printing and showcasing content in over 30 languages. So, Hallmark is huge! But, what is it that makes the Hallmark’s merchandise so attractive? As TIME author Graeme McMillan points out, Hallmark has been able to give people “exactly what they want”, offering products that satisfy the needs of the “heart” and being there for customers to translate their deepest feelings into beautiful messages. On top of things, the creative process behind Hallmark’s products goes beyond a simple brainstorming. Employees have access to immense resource libraries, creative workshops, innovation labs, and art collections, which gives them the ability to think bigger. All these things, however, wouldn’t do much if the staff wasn’t committed to the vision of creating a more “emotionally connected world”. Brought in from every path of life, Hallmark’s employees are individuals who wish to make a difference in other’s lives. They see their work not only as an opportunity for themselves but also as a chance to spread hope, empathy and laughter to the world. In 2007, CBS News had the opportunity to visit Hallmark’s comedy department “Shoebox”, and captured key moments that make up this company’s amazing culture. Hiring only 50 people, Shoebox brings in artists from every background, from flight attendants to musicians and ministers. Later on this group of diverse individuals comes together simply to find the right joke. It is such a creative and purposeful atmosphere that a lot of the staff assures they’ve found their calling in what they do. Moving a little forward into the entertainment industry, who hasn’t heard of the “Countdown to Christmas”? Or the “Thanksgiving Event”? With two TV channels, Hallmark has been able to enchant viewers all over the world, ranking No. 2 amongst cable networks during Thanksgiving week 2015, which then led to a very successful streaming during the Christmas Season. The secret? As Variety writer, Rick Kissell puts it; Hallmark has found its niche offering “family-friendly” entertainment. Which, as we all know, is very hard to find in today’s TV. All Hallmark movies follow somewhat the same plot, offering people a second chance in life and hopeful happy endings. The films often speak of “holiday spirit” and try to spread long-term values rather than instant pleasure to the viewers. In conclusion, Hallmark is today successful because it has genuinely understood the essential yearnings of people. Everyone wants to love and be loved. And, employing innovative technologies and a socially conscious workforce, this multi-billion dollar company managed to satisfy the needs through simple solutions: kind words and happy endings. Everyone at Hallmark wants to make the world a better place and that feeling is then transmitted through the products, which in turn attracts everyone out there who believes in the same mission. So, are you ready to buy your Christmas cards now? The Call Center Industry: The Next Big Thing For Economic Development? Nowadays you open a newspaper and most jobs relate to call centers. Advertising competitive salaries, great growth opportunities and low entry barriers, companies like Xerox, Capgemini, Telus and /7 have enchanted the young workforce who want to make a lot with the little they have. Between 2009-2013 the BPO (Business Process Outsourcing) industry in Guatemala experienced an incredible income growth of 300%, reaching $650M in total revenues by the end of that period. Focusing mostly on customer service and financial operations Guatemala soon became the Central American hotspot for outsourced call centers employing around 35,000 agents. This boom, however, did not only attract business investors and entrepreneurs. Economists and development agencies also grew interested, as call centers became a promising solution for poverty alleviation in developing countries. “If you want Guatemala to prosper take the people from the fields and give them a job in a call center.” Economics professor Edgar Ortiz from the “Universidad Francisco Marroquin” expressed. Being labor-intensive and known for profiting on low wages it is hard to imagine call centers as poverty alleviators. Surprisingly enough, these businesses paired up with other forms of investment can promote development and break the poverty trap in more than one way. The Human Development index calls education, health and disposable income the three pillars of development. Therefore, to be poverty alleviating, companies must (1) create stable income-generating opportunities for the poor, (2) offer their workers enough income to live and (3) make health, education and financial services accessible to their workers. First, they create job opportunities that target the poor by setting low entry barriers (regarding experience and skills) and opportunities to grow. Second, call centers offer most of their agents a higher wage compared to their alternative source of income. For example, an average Guatemalan farmer that makes $354 a month can now make up to $700 by working at a call center. An increase of 100% allows workers to meet their essential needs, spend more on health, nutrition and education and accumulate capital for later investments or remittances (which spurs development even further especially in Latin America). And third, the different worker benefits offered by call centers give agents and their families the opportunity to save and afford otherwise unaffordable options such as health insurance, credit services, family planning, meal plans and other essential packages. Another development benefit of call centers is the direct role they play on education. Although they provide specific training to their workers, these end up learning much more than that. Studies from Princeton University show that people who worked at call centers often left with newfound interpersonal, confidence, language and communications skills that made them more competitive and eligible for better paying jobs. Furthermore, those who sacrifice school for work could consider call centers as the next best option, since they act as vocational training entities that have the means and talent to prepare skill-savvy workers. Although, to achieve true development, countries must set policies in place that allow all citizens to finish their studies. Finally, if we think macro economically, call centers spur a country’s development by attracting large amounts of direct foreign investment and growing sustainably over time. FDI increases a country’s capital stock, improves productivity and brings better and more globalized skills and technology into the host country. Additionally, investments also encourage competition, forcing companies to develop themselves and their workforce continuously to stay in the market. Higher productivity and competition means more and better choices for all owners, clients and workers, better wages, better education opportunities, better products and more profits. Before you bet on FDI, it is important to understand that FDI can work only if there’s little political interference, a proper investment environment, little corruption and capable individuals to administer the capital. In conclusion it might be wise to admit that call centers could indeed be the next solution for poverty alleviation. Their structure and labor-intensive nature makes them ideal to attract and develop the poor by offering income+ opportunities without compromising profitability. Nonetheless, in order to achieve true poverty alleviation, call centers need to focus on reducing their attrition rates and in giving their benefit packages a genuine poverty-alleviating focus. Also, if they were truly going to alleviate poverty, call centers have to offer jobs that give people enough time to gain all the skills, benefits and financial boosts they need to reach a sustainable and increased standard of living, on top of creating environments that won’t be detrimental to the worker’s physical and mental health. A couple recommendations to reduce attrition and create stability, according to experts, are to reach less stressful work environments, provide various schedule options, create physical and mental care programs and adopting a culture that promotes a healthy life-work balance. Call centers can help countries develop but they need to focus on people as much as they focus on profits and attract investments both for industry and infrastructure growth. BPO Industry In Guatemala, recovered from: www.investinguatemala.org on August 2016. Whether you run a large multinational or a successful foundation, if you don’t know what your target market wants you’re most likely going to stumble. Over the years we’ve seen organizations waste time and money launching products that don’t work. Either they didn’t understand their markets or didn’t pay attention to important details early in the process. To avoid this from happening, various organizations from universities to design firms have adopted the “Human-Centered Design” approach, where client feedback becomes the essential component in every product and service’s development. So, What is Human-Centered Design? As +Acumen beautifully states it, Human-Centered Design is “innovation inspired by people”. It is a framework used by designers and managers to find solutions for pressing problems considering their beneficiaries’ perspective in every step of the problem-solving process. How do you differentiate HCD from a traditional design process? It all starts with empathy. To build a successful product, “solutioners” must clearly understand the deepest needs and incentives of their target market. To do so, it is crucial to observe, ask and spend quality time with your clients. Unless you know and live the hassles of their everyday life, you won’t understand the depth and gravity of a problem. Going further, because HCD it is based on empathy, it must be collective. When you look for human-centered solutions you won’t find them behind a desk by yourself. The more you get involved in your client’s life and the more feedback you get from them, the easier it will be to understand the solution that they’re craving. Plus, having more people in your research and development team brings more perspective and creativity into the process. And finally, HCD is different from traditional design because it relies on constant experimentation. Human-Centered solutioners think big but start small. They learn by doing and build the solution based on feedback. This takes more time but saves a lot of resources, mitigates risks and secures success. After all the solution was pretty much given to you by those who will use it. That said, what are the necessary steps to develop a Human-Centered Design Process? First, you need to get out there and understand your target market’s problem and ideas for solutions. +Acumen calls this the Discovery phase. Later on, after you’ve gathered all your key information and have a clear understanding of your market’s needs, you move to what IDEO.org calls the Ideation phase. Here your team and you start brainstorming for creative solutions to solve your market’s most pressing problem. Once you’ve landed a couple great ideas you start the Prototyping phase, where you bring to life an initial “sketch” of your solution and present it to the public for feedback. Based on this feedback you continue your development process until you reach the final version of the solution and the Implementation phase. What tools can be used to successfully complete every step of the process? Throughout your discovery phase, you will be observing and contextualizing most of the time. Some great tools to do this are: surveys, interviews, photo journals and guided tours (to help you live your beneficiaries’ daily life). After you gather your information you need to map both people and needs to start ideating. You could use stakeholder maps, people profiles, problem tree analyses and some affinity clusters. Then, for your prototyping phase, the LUMA Institute suggests you storyboard and sketch your ideas before building them. Sketching the idea helps the team visualize the concept and storyboarding helps them understand how they expect users to adopt it. Then you can continue by creating rough prototypes out of simple materials to bring the concept to life. If you want a complete guide of tools to research, understand and ideate for your target market, check “Innovating for People”: the LUMA Institute’s handbook for Human-Centered Design. What can you use Human-Centered Design For? According to +Acumen, you can use HCD, to create innovative products, services, spaces and systems. Because HCD is based on human behavior and empathy, this approach can be used not only to build useful products but also to create better experiences for people, nurture more impactful relations and build more efficient facilities. Who employs Human-Centered Design Today? Stanford University – Ranking #3 in the world! Grameen Foundation -Global nonprofit dedicated to sustainable development. Frog – Global design and strategy firm. Luma Institute – Global innovation learning platform for businesses and nonprofits. Why should you employ Human-Centered Design? HCD will help you save time and money. By focusing on your beneficiaries from the start you are investing in products and services that are guaranteed to work. HCD mitigates risk and increases customer loyalty. Internally, HCD can also improve your design team’s creativity, open up their minds to more perspectives and put your company at the top when it comes to understanding your target market and delivering useful and innovative designs! So don’t wait anymore to start involving your beneficiaries! I assure you it will pay off. If you found this post useful, please let us know with a comment! The Lucky Attitude describes millennials as the “Startup Kids”, the generation that wants to be their own boss and the ones that see more value in creating something for themselves than climbing the corporate ladder. Although such is a general statement, millennials in Guatemala are proving it right. With 40.3% of adults between 18-64 intending to start a new business and 60% of them believing they have the right capabilities to do so, you find yourself facing a country that ranked #107 in the Global Entrepreneurship Index. But why are Guatemalans so special when it comes to business? My visit to the annual “Product Fair” sponsored by “Empresarios Juveniles” and “Universidad Rafael Landívar” gave me a good idea. The program “Young Enterprises” is a semester long workshop where first and second year students from the business department come together in groups to build a functioning small-scale enterprise from scratch. Throughout the workshop, students must adopt different managerial roles, develop a product and create a business/marketing plan to launch their final concept at the product fair, where they are judged based on how well they developed and presented their idea. The new generation of Guatemalan entrepreneurs has rediscovered the power of tradition and is exploiting it right! Why are traditional products so attractive? Because they not only offer a useful piece of clothing or accessory, but also a culturally valuable piece that can’t be found anywhere else in the world. By printing the Guatemalan identity on bags, shirts and wallets you’re giving these products a level of authenticity and “exoticness” clients inside and out of the country find very attractive. When clients buy traditional products they’re buying a story, a piece of the country and an “authentic” pass into global citizenship (which many people find extremely desirable and valuable). Local products, however, have another advantage. While you’re promoting your country’s uniqueness you are also helping the artisanal community both socially and economically. Since entrepreneurs rely on indigenous craftsmanship to create their pieces, they embark themselves in a journey to better understand their people and roots. Also they keep the money within the local economy helping the country grow. So, when clients see “local and traditional” they are sold. They see artisanal (which is “cooler” than commercial), they see cultural value and they see social impact (which makes them feel good about the purchase, and as I mentioned before, almost 90% of purchases are made through the emotional brain). Speaking of the emotional brain, young Guatemalan entrepreneurs have also learned to take advantage of the country’s critical situation to create marketing campaigns with social aspects. With the huge spectrum of social and economic gaps in Guatemala, people have many “causes” to choose from when they think of Social Corporate Responsibility. I was surprised of how many students chose to support a cause as part of their marketing. Their products were simple, almost useless to the eye but buying them helped someone, so suddenly the products had a social value impossible to ignore. There was a stand selling bottle openers. The products didn’t have anything special on them, but if you bought one (for very cheap) you would be helping a kid’s shelter. So technically you bought the cause not the product. Another stand offered bracelets to support breast cancer. I liked their approach when they said to me; take a bracelet for a meaningful donation of Q.20. Notice they didn’t say the words price or cost. Although they had adopted the structure of an nonprofit, I was happy to see that the salespeople prepared themselves to offer their products using the right vocabulary and approach. According to PFS, “millennials may only comprise 26% of the population, but they contribute to approximately 35% of retail spending. That said, new and old businesses must seek to understand what millennials value to properly market to this generation; and, in consequence, their baby boomer parents. The World’s leading research and insight platform, Qualtrics divided millennial values in four: relationships, socio-ecological impact, easy-grab and high-tech. Most of the stands did offer products that fell in one of these categories: from fashionable iPhone chargers to eco-friendly bottles, one-step make-up removers, traditional clothing and artisanal jewelry. The category of “relationships” in the millennial value circle refers to how well the company seeks to relate with the customers before they sell them a product. Latin America is comprised by what sociologists call “primary cultures.” Where most people rely on inter personal relations to meet their needs. These cultures value extended family systems and social connectivity as well as oral forms of communication and natural-spiritual concepts. These cultural traits have helped Guatemalan entrepreneurs become natural salespeople (at least some). “4Her” was the small business that captivated me the most. They had incredible traditional products and they knew the story behind them. But, what really helped was the team’s customer service. The only reason I didn’t buy from them was because I didn’t have any cash on me! In conclusion one could say that Guatemalans are growing to become great entrepreneurs because they are taking a proper advantage of their local resources and causes as well as their natural sociability. On the improvement side, I youngsters still have a long way to go when it comes to understanding their customer and sharing their story. The products I saw at the fair were great but I left wanting more information from each one, I left feeling as if students didn’t do enough research on their market and as if they were doing it “just for the class”. Overall, however, visiting the product fair was a very enriching and insightful experience to see what young people value and believe is important. I was impressed by the quality of the products and marketing material (given they only have a semester to plan everything) and would definitely recommend the activity to anyone interested. Is UBER Doing Bad By Doing Good? The incredibly successful carpool platform known as UBER was officially launched in San Francisco, California in 2011. Built as a mobile application, the founders intended to shift the cab services from the “market economy” into the “shared economy”, where every-day car owners could put their car to work and those who were carless could get a pleasant ride for cheap. In theory it all seems great, more jobs have been created and people get cheaper rides. Why then, are there so many parties fighting against new e-based models? The primary allegation comes from the taxi industry. The fact that UBER drivers don’t have to face the strict regulations taxi drivers do creates a competition gap that is perceived as unfair. According to an article from Bruegel.org, taxi licenses can cost as much as $1M in the USA, which, in turn, creates an entry barrier to the industry and keep the competition in check. With UBER previously requiring no license, taxi license prices went down by almost 30% in some states and taxi drivers were slowly being kicked out of the market. In Toronto, Canada “drivers have lost a third of their business since 2012” due to this issue. On a similar note, fixed ride rates have also given UBER a significant advantage over the cab industry. UBER drivers are allowed to “surge price” and fix their rates depending on demand volumes and time of the day/year. Cab drivers, on the other hand, depend on the government for pricing regulations and are limited to an hourly wage. So, even if it is understandable why Taxi drivers consider their UBER counterparts a “scam”, the cab industry complaints went further to say UBER was unsafe and even threatening to passengers since drivers were not required to fulfill background checks and driving tests like taxi drives do. Taking everything into consideration, UBER has advanced its application requirements by requesting a proper background check along with a vehicle check and a city-specific set of regulations. The second allegation, though, comes from drivers themselves. Although UBER currently employs 160,000 drivers who seem happy with the job, many find it to be below decent standards. UBER drivers get paid after every ride but 20% of what they make goes back to the company. On top of this they are responsible of covering gasoline, repairs, insurance and registration costs plus any depreciation. Drivers are also required to own a smartphone (unless they rent from UBER for $10/week) and do not receive proper worker compensations for they are considered contractors and not employees. You have probably heard of social entrepreneurship at some point in your career. Probably defined as the “charitable work of some business people” or by its true definition: the type of entrepreneurship that wants to solve the problems of the world using business solutions. As a social entrepreneur I can’t remember the amount of glares I got when I told people about my career choice. For people it seemed unconceivable to use corporate structures to decrease food insecurity or save our oceans. It is rare to hear a social entrepreneur say that his main driver is money. As an SE myself, I know the hustles that go into building a social enterprise, the endless hours and effort you put into creating something that will not necessarily bring a fast ROI and will take some time to prove its effectiveness. It is impossible to stick for long if you’re in it for the money. Social entrepreneurship is about passion and the genuine desire to create a better world. The social endeavor usually comes from the heart and belongs to those who are serious about sacrificing their own commodities to give others the optimal life they deserve. A holistic social enterprise seeks to empower the community and preserve the environment in every step of the way. Take Trash to Cash, an Indian company launched to help people with disabilities raise their standard of life. Their model includes collecting old flowers from temples (that would otherwise go in the rivers) and getting people with disabilities to transform them into colored powder that is then sold to celebrate the Holi Festival of Colors. On top of that, workers are given extra training to improve on various technical skills. Looking more closely, this model does not only get money and dumps it into a fund to make a company look good. On the contrary! From the start Trash to Cash prevents water pollution, then it gives disabled communities the opportunity to get an income and live a decent life. And finally, they provide the Indian people with essential products to celebrate their heritage. In every process there is impact! While traditional CSR programs can tackle social needs, social enterprises exist to tackle these needs sustainably through time. If a company decides that their CSR program no longer works for them, then all the “donation” money will go away and communities are left to wonder. To avoid that, social enterprises teach people to fish rather than giving them the fish. It creates holistic opportunities where communities take their development in their hands and learn to sustain themselves on their own. On the financial side of things, social enterprises sustain themselves through their own revenue models. CSR programs, on the other hands, depend on company funds or outside donations. Because social enterprises are self-sustaining and produce financial and social returns on investment, they are eligible for many more types of funding than charities and foundations. Yes you can still rely on pilot stage funding like crowdfunding and relative/friend donations. But also you can enter business competitions, reach to angel investors and, if your idea is strong enough, you can get some funding from venture capitalists. To go even further, there are many particular social and environmental investors interested in putting their money to work for good. Social entrepreneurs also may have access to social impact bonds and other financial alliances with organizations and people that wish to contribute to the planet’s development. Social entrepreneurs are disruptive innovators. People who want to change the status quo and challenge the present system to build one that is more just and beneficial for everyone. And they do so by breaking barriers of accessibility, affordability and impact. Disrupters see opportunities in every market, they are not afraid to take the least traveled road and they prototype often based on customer feedback! This, in turn, leads to incredibly (hard to copy) creative solutions that appeal more to both customers and beneficiaries. When you see a social enterprise, you see an organization that values people, planet and profit. To make a decision, social entrepreneurs consider the environment and the community as important members of the board. Success is not measured only through financial ROI. For social entrepreneurs success is measured also through SROI, which is the social (and environmental) return on investment. Social investors are interested in measure organizational transparency, stakeholder involvement, net impact and of course the effectiveness of the enterprise’s theory of change (how well was the problem solved). If you really want to help the world and save the planet I encourage you to invest in the present and future social entrepreneurs. Get involved in social enterprises or start your own! Social Entrepreneurship is about earning profits by doing good and creating positive impact using your own business skills! Don’t be afraid and start working for the sustainable change you want to see. Is Augmented Reality The Future Of Business And Marketing? Imagine if you could bring all your marketing material to life, giving clients the opportunity to try your products on their phone. Thanks to augmented reality live business is now a possibility. Easy and convenient, clients need only a phone to scan the pages of a catalog and superimpose virtual images over their own reality. If you think this approach is too “far-fetched” I invite you to take a look at Pokémon Go, the app that reached 100M downloads in the span of weeks. Surpassing Twitter and Snapchat, users and experts both accredit the app’s success to augmented reality, which combines: real-virtual experiences, mobile friendliness and nostalgia. People love Pokémon Go because it takes them from being “watchers” to active “participants”. By imposing the virtual world of Pokémon over the user’s real surroundings, fans can finally know what is like to be a Pokémon master. Now, imagine if you applied the same principle to your business. You could easily increase purchases by enabling customers to visualize how your product would look on them or in their home. When they launched Pokémon Go, Niantic and Nintendo understood their target market. The kids that loved Pokémon and waited 20 years for its return are today’s millennial. The generation that can’t live without technology. To attract the new generation of buyers, I suggest you digitalize your marketing materials and make them mobile friendly. Allow your content to fit an iPhone screen and tailor it to be short, practical and shareable. And lastly, Pokémon Go succeeded because it appealed to people’s emotions. First, the app brought something that was old and cherished and made it new again. And second, the game focused on bringing back familiar faces from 1998. Augmented reality can help your business play nostalgia by imposing the past over the future, creating a dual-reality that mixes old and new. It can adapt memories to fit new technology and use the power of familiarity & active participation to attract new customers. So, in the end, what does augmented reality mean for business? It means a better way to attract, engage, and retain loyal customers. It attracts because it lets people access new worlds easily, it engages because it blends business and customer realities, and it retains because it can go directly to people’s hearts. In sales, one of the hardest things that a salesperson can feel is unheard. Sometimes as sales people, we feel as though we have such an amazing thing, that if people would just give us a couple of seconds to hear about it they would all want what we have. However a lot of people open the door to hear your sales pitch only to think, eh another sales person. With that mentality, how are sales people ever to sell anything. The great big question is though how do you get past the beginning stage so that you can portray your message at how you are different. One method that I have found useful is the use of non-verbal and para-verbal communication. Non-verbal communication attributes to about 55 percent of what is perceived and para-verbal communication attributes to about 38 percent. That means together, 93 percent of communication is related to not even saying anything, but how we say it and what we are doing when we say something. What I have found in my own sales experience is that positive vibes create great selling atmospheres. First impressions really do matter, so whenever I walk into a sales meeting, or I am doing an elevator pitch, I try to put on a huge smile so that the other person will mimic my smile. This may sound weird, but by doing this you will get them to smile and positive endorphins will be released inside them. By giving off a huge smile, this is an example of non-verbal communication that I do in order to make sure the sales process starts off smoothly. “Facial Expression: The face is perhaps the most important conveyor of emotional information. A face can light up with enthusiasm, energy, and approval, express confusion or boredom, and scowl with displeasure. The eyes are particularly expressive in telegraphing joy, sadness, anger, or confusion. Depending on different things that you do with your body, this will depend on how the message is received and how we are heard. In sales, I always had the rule that if I didn’t have the person within the first 10 seconds, then I lost the sale. Working in the door to door industry, I would try to notice something different about each house so that when I got to the door I would have something to spark conversation. Usually it was about a car they had, or their garden, or just something I noticed about the house. Building credibility is huge as well and so I would always start off my sales pitch by bringing up people that they would know that I have been talking to as well. Again, while doing all of this; keeping a big smile on my face, straight posture, and maintaining eye contact but breaking once in awhile to avoid awkwardness. Non-verbal communication was crucial to my sales because I had it mastered down in terms of the psychology in selling. By being aware of my facial features and also my posture and gestures, I would help people feel comfortable enough to enjoy what I was selling, and made the yes’ come a lot easier. Para-verbal communication was another really big part of my communication in sales. They way I said words would portray how confident I was in my product. People can read right through you if you are not confident it what you are selling. One way I would stay positive is in the mirror or in the shower I would repeat to myself every morning that what I was selling truly was the best product out there and that I was helping people’s lives by what I was doing. In para-verbal communication you can be confident, but if you are not using your para-verbal correctly, you can completely give off the wrong message. For example read this sentence one way where you end the last word with an up pitch in your voice and then with a down pitch in your voice. I have the best product in the world. You can literally be saying the same sentence, but if I say the last word in an up pitch, it sounds like I am questioning myself and that I am not confident in what I’m saying. In retrospect, if I am saying this last word in a down pitch, it just sounds more confident and more like I believe in what I am saying. In door to door sales, we have a saying as to not throw up on the person’s front door. Now literally you really shouldn’t do that, but that is not what we were referring to. You don’t want to speak too quickly, or give out too much information on the door step, or office, or wherever you may be. Some people when they are not getting a lot of sales and getting rejected a lot tend to do this more often because they are literally expecting the no. Be calm, cool, collected and find out the needs of the customer first so that you know how to proceed with your sales presentation. If you want to be heard, don’t be afraid to speak up and say what you need to say. But by being aware of your non-verbal and para-verbal communication, you will be a lot more successful at actually getting the person to HEAR you instead of just letting you talk. There are other things you can do with para-verbal communication as well such as preplanned physical things you do in order to maintain the attention, but I will leave it at this for now. I am curios if anybody out there has any experience with how non-verbal or para-verbal communication helped them get the sale, or lose the sale. What are you experiences? Windle, Rod, and Suzanne Warren. “CADRE Resources.” Ideas That Work, n.d. Web. 16 Feb. 2016.